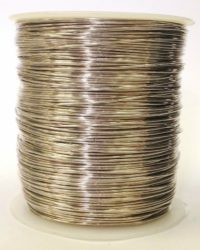 ParaWire’s 10 silver filled wire is the perfect replacement for working with solid silver wire. Whether you need dead soft or half hard wire we have you covered. Our wire has a 10% fine silver content making it behave just like sterling silver wire will. It will patina with age, or you can speed up the process with aging elements. It is also solderable. 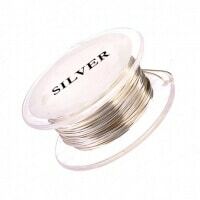 ParaWire’s 10 Silver Filled wire is a fraction of the cost of solid silver. 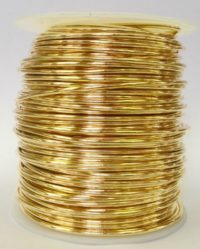 Bulk quantities of this product are supplied on half-ounce spools unless specially requested otherwise. I am very delighted with the quality and price of this wire. I can use all the same techniques as I do with Sterling silver AND save money too. 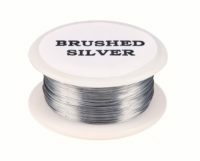 This wire looks just like sterling if you are doing chain maille AND it’s a great value. It tumbles well to a beautiful shine. Silver filled 10 + wire is the best wire I have worked with. Cheaper than sterling silver and I find it easier to use in my chain maille patterns. I make chain maille jewelry and the shine on this wire lasts and does not tarnish. 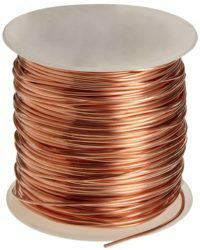 Good value for great wire.